Seeing a car fully lit up in flames is one of those things that’s universally spooky to everyone. It’s doubly so for folks who are passionate about cars, and even more so when the car in question is your cherished ride. 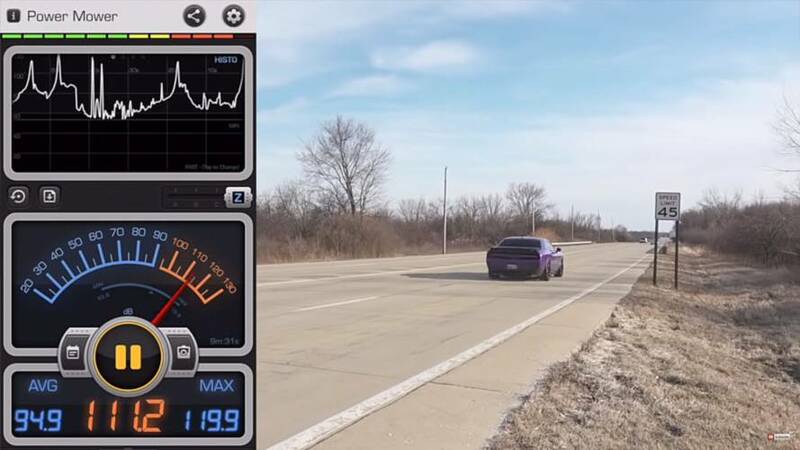 FamilyCruisin on YouTube captured all of this on video when his Dodge Challenger SRT Hellcat went nuclear and incinerated itself on the side of the road. What happened exactly? According to this video (which opens with a lengthy memorial to the car) and a follow-up clip posted yesterday, the specific cause is still being determined. The owner does provide a detailed play-by-play leading up to the fire which at least offers some clues. 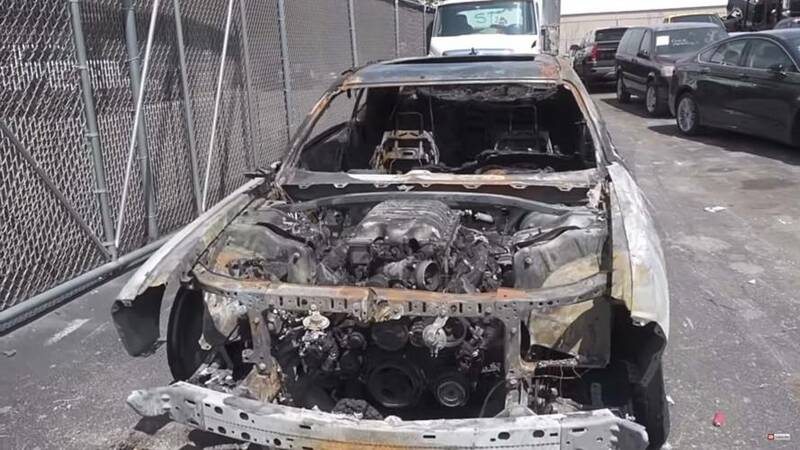 Apparently, his Challenger had just received a new engine – looking back through previous videos on the channel we see the original Hellcat V8 blew itself up. Furthermore, spying other videos in the channel it seems our gallant driver isn’t necessarily easy on the car and he’s not afraid to show it. 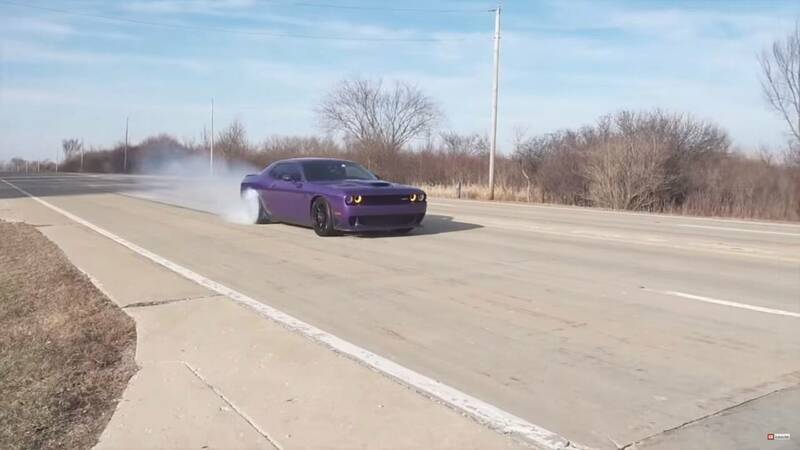 That by itself isn’t a big deal – a freaking 707-horsepower Hellcat begs to be exercised after all. Videotaping yourself going full throttle in a 45 mph zone, however, leads us to question some of his decisions. That's actually a decibel meter registering sound as opposed to speed, but we digress. The new mill apparently wasn’t running right, as he describes plenty of surging and stumbling while trying to get the engine broken in. 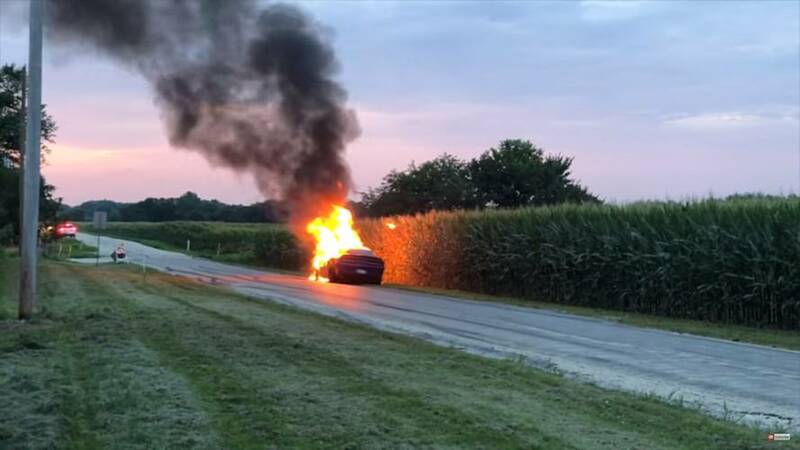 He went to a rural road for some exploratory driving but the condition worsened until finally nothing was happening when pressing the gas pedal. In this case, nothing apparently was only a reference to acceleration, because he describes all kinds of sounds from the mill that probably would’ve made most people pull over and call for help. Instead of doing that, he hit the gas “pretty hard,” which is a daunting move for healthy Hellcat, never mind one in distress. He finally pulled over, at which point he smelled what he “believes to be gas.” Judging by the freaking massive inferno that erupted moments later, we believe he was right. The video is certainly tragic for any car fan, but we can’t help but wonder why he didn’t simply stop the car at the first sign of trouble? A brand new engine should’ve had some kind of warranty protection, unless it was already modified to the point of voiding the coverage. 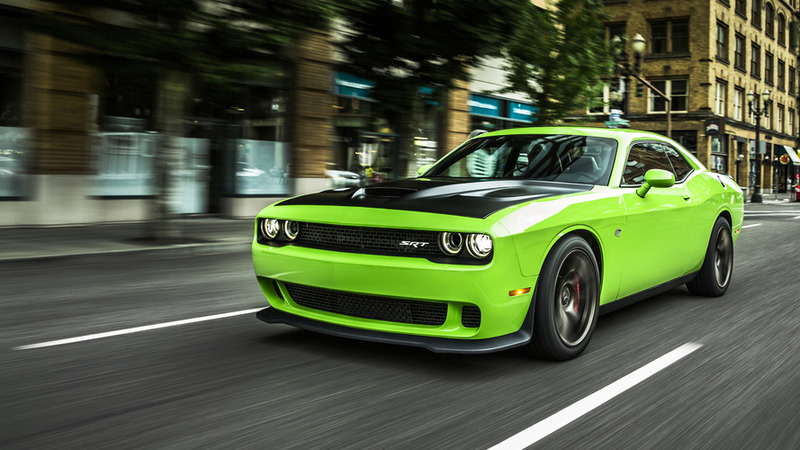 Furthermore, FCA’s recall for Hellcats due to fuel leaks would’ve been forefront in our mind at the first sign of trouble, new engine or otherwise. In any case, we’re sorry to see this performance monster meet such a fiery demise.